APPLETON, WIS (June 2, 2014) – Product Handling Concepts (PHC), a manufacturer of custom designed and manufactured product handling equipment based in Appleton, Wis., unveiled its Momentum™ wipes canister loader, with an operating rate of up to 180 canisters per minute – twice the fill speed than equipment currently available. 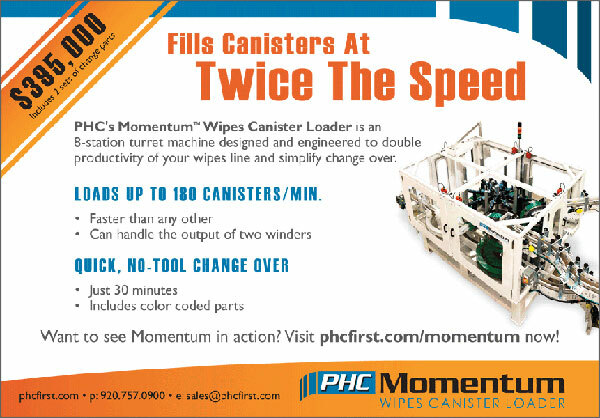 Priced at $395,000, which includes two sets of change parts, PHC’s Momentum delivers significant productivity improvements to manufacturers of rolled wet wipes for the industrial and consumer markets. Momentum is a small footprint, eight-station turret machine that loads canisters vertically in a single lane. Pocket fixtures position the canisters for alignment; the rolled wipes are then fed to the canister. Momentum also features rapid no-tool changeover and on-machine changeover parts storage. 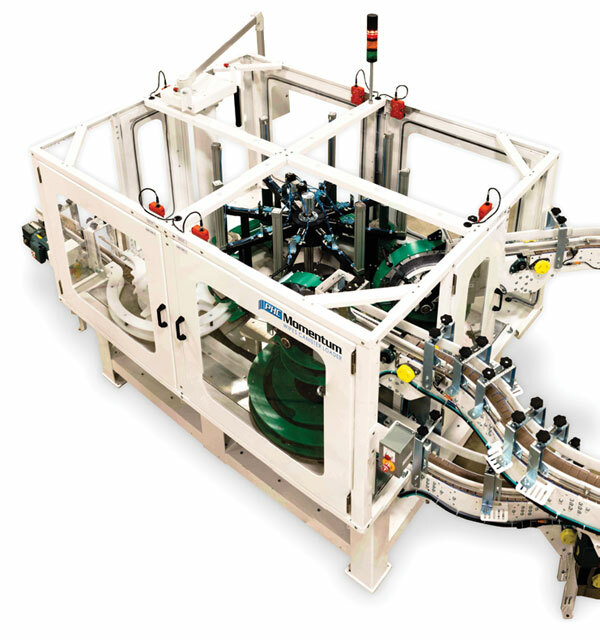 Momentum also features synchronous lube-free serpentine chain drive, powder coat finish, pneumatic-cylinder log loading, and has an ergonomically designed working height. Russ Salzer, general manager of PHC, says the Momentum is revolutionary in the industry. “The fact that our team has designed and engineered a system that will double the speed of filling is exciting for our customers. It’s a step-change increase in efficiency and productivity that translates to improved profitability for them,” he said. “Momentum is a great addition to our conveying and equipment solutions for the non-wovens market,” he added. Product Handling Concepts (PHC) is a leader in custom designed and manufactured product handling equipment. PHC serves a global customer base with products designed to improve efficiency, add value, and increase product flow. 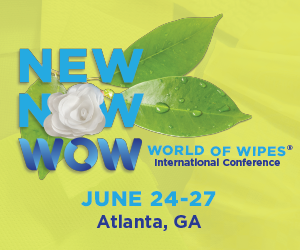 Sign Up Sign up to receive important information about INDA events and services.